pressing denoted by ✲ stamp in runouts. First pressing: Rainbow label with ''Mfd. by Capitol Records, Inc.'' in rimtext - no "A Subsidiary Of…" text. All side-two selections are published by Maclen Music, Inc, BMI. 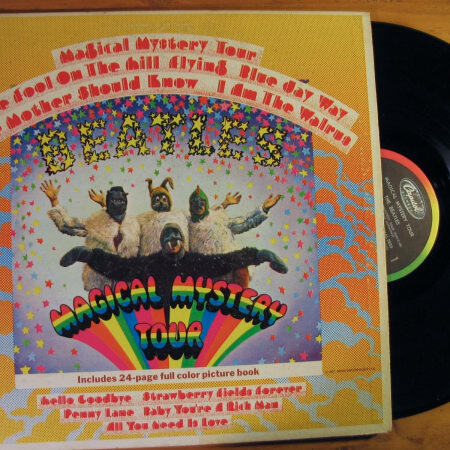 Original 1967 US pressing with rainbow Capitol labels. Gatefold jacket worn at the spine and edges. Record has heavy scratches that may affect playback. 24-page full-color inner booklet included but taped together at the seam. Overall an excellent collector's copy. Shipped next day in damage-proof packaging.